Start your career in the automotive industry. 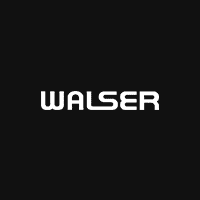 Walser is a company of amazing people working in one of the most exciting industries in the world. It’s the “work hard play hard” mentality of each employee that keeps our culture and business thriving. If you’re enthusiastic, customer service oriented and sales-driven, come join our team! We offer paid time off that includes vacation, holidays and other time off to help you balance your work and personal life. Non-union employees will accumulate a specified amount of PTO each pay period worked, based on your years of service. For union employees, you’ll become eligible for vacation benefits after your anniversary date of employment. We recognize that your health benefits are an important part of your total compensation, so we provide comprehensive, quality benefits to you and your eligible dependents. You are eligible to participate after 60 days of employment. Eligible employees can contribute to a retirement savings plan, and we’ll match 25 percent up to the first 5 percent of your contribution after one full year of service. All employees who have been employed for over 60 days (and certain family members) can purchase any item we market from the Walser Automotive Group and affiliated businesses at a discount. As an employee of the Walser Automotive Group, you have an opportunity to earn a referral bonus when your extraordinary friends, family members, and peers are hired on. At Walser, we support your fitness goals by providing a workout facility equipped with exercise machines, free weights, a stretching area and showers – and even personal training sessions are available. We’ve designated safe and private spaces for your wellbeing that can be used by nursing mothers, for meditation or for prayer. We bring in experts to motivate, teach and inspire you and your wellbeing initiatives. We support your health by hosting on-site clinics as a convenient way to help you fight influenza.